I consider myself agnostic because I know I don't know God, yet I live in the paradox that the more I admit that I don't know, the more I seem to know. Divinity, it seems, shoots shards of Soul into my flesh like an arrow and I feel suddenly intimate—and omniscient. And then it's gone, with a wink. Overnight, or so it seemed to my eye, the tree had popped. Every branch and sub-branch was loaded with blossom clusters, all pink-white. I thought of the first flowering of a young girl who sticks out her chest and feels, for a moment—omnipotent. Or the small five year old boy in the playground whizzing along on his scooter his red cape blowing behind him—superman almighty. The burst won’t last, any more than movie popcorn shared while life reels on —but it’s enough. I hope such experience, in which I do hear, or feel, a word I call God-in-me, is not romantic or facile or sentimental, but rather true. Anyway, it helps me move along, knowing and not knowing. Oh, incidentally, I'm beginning to despise the word spiritual—so bleak and easy, avoidant and limp— though I understand its vogue. Yes, I watched the interfaith service at Holy Cross Cathedral in Boston last Thursday. And yes, I was moved to tears of both grief and joy. And yes, I was struck again about the energetic resurgence of religious vocabulary in our secularized culture at times of national catastrophe, in this case the holocaust of Marathon Monday in Boston, 2013. Words like God, prayer, sacrament, blessing and many citations from scriptures abounded, led and modeled, in this situation and others, by our President Barack Obama—and he’s had more than his share of such occasions. Of course it was a religious service, therefore such language was natural, but it was also a civic commemoration, a collective funeral. Our civil “religion”emerged as strong and healthy as our spiritual religion. Is there a difference really? President Obama should have been a preacher. He took to the podium as if it were a pulpit, which it was. He cited verses from II Timothy 1:7 which are worth repeating here. Paul the apostle was encouraging his student and disciple for his mission to teach and proclaim the gospel of grace: “For God did not given us a spirit of cowardice, but rather a spirit of power and of love and of self-discipline.” These are inner gifts available to us all. Is there a call to turn to our faith traditions for solace, strength, and national invigoration? Could it be that God, whom many think of as omnipotent in the way the world understands power, is begging us to consider a new/old theological perception: Godde as love within? The visual diversity was an astounding image. Many “minorities” in leadership. The cello, played by the inimitably passionate Yoyo Ma, is the one singular instrument able to convey the pathos of such a time—mournful, melancholic, yet as deep and rich as soil and soul ready to receive new seeds of life. In the final phrase the melody grew faint, trailed reluctantly off, leaving and not leaving. Closing Hymn: “American the Beautiful” based in beauty and grandeur of landscape, not military victory as was our national anthem. That people who "don't believe in organized religion" flock to God and the offerings of organized religion when something catastrophic and inexplicable happens yet never mention the sacred in other venues or give religion a voice in public conversations. Do people flock to cathedrals for political reasons, or for spiritual reasons? This week Boston and the nation have traveled the arc from vibrant life through death and despair, into hope and hints of healing, and now the journey arcs forward into a climate of uncertainty, unsteadiness and wondering. Yes, we will go on. Yes, nothing will be quite the same. The best way I know to assimilate the “new normal” is to find a community that is not a crowd. 2013.04.17 What To Do In the Valley of the Shadow of Death? The Boston Marathon tragedy has many complex facets and remains incomprehensibly tragic. Even so, we seek actions, answers, and accountability. The fact is that there isn’t much to do but pray and hold hands and wait as more data roll in to enlighten. Enlightenment, however, is only half the truth, holiness the other. What happens in such holocausts is not reasonable, or explicable. It is only healed by love and borne in faith. Right now we are summoning every reasonable resource we can to understand. As tomorrows accumulate, faith will clasp onto the hand of reason as together they unite to help us go on living and loving. The soul that does not value human life is stunted; and the soul that does not value divine life is equally disabled. 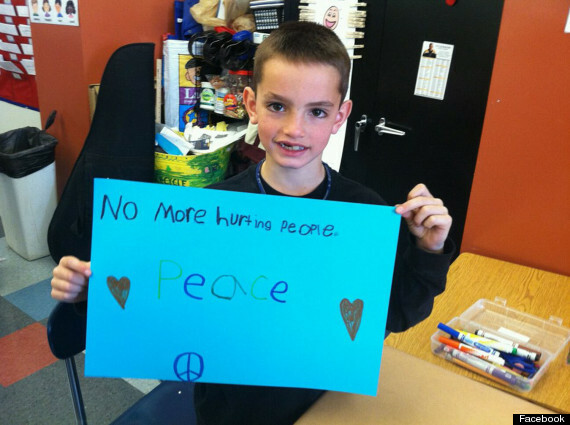 One day the lion and the lamb will lie down together, and "a little child will lead them," according to the Old Testament prophet Isaiah (11:6) A little one, perhaps like Martin Richard below, who died as the result of the bomb explosions at the marathon on Boston's celebration of Patriots Day. Will we follow? “In the beginning . . . “ he began in somber tones. 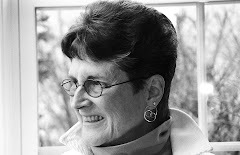 I wrote it down in my brand new spiral notebook marked Old Testament; “In the beginning . . . “ Then I waited, through a long pause, for more. I loved that word, potentiate. I’m not sure if that is exactly what he said but that’s what I heard and never forgot. I remember when some students nearly went nuts over an exam question which asked us to connect the texts about Sarah and Abraham in their aging process, with its attending issues, to our own lives and ministries. How would we use these texts to inform our pastoral care work, say in a nursing home? My recollection was that many students were angry and protested this approach, calling it proof- texting and all kinds of other putative interpretive “abnormalities” they thought were forbidden when working with sacred texts. I guessed they were afraid of aging and death, or other demons too fierce to mention. But I loved it. The issues were the same then as they are now, and I got it. For me this approach made scripture come alive, and its people real. Years later I wrote two book of midrash stories using this connective experiential approach. It’s what Creator-God is all about: unending potentiation. My first ugly thought was something like: OMG, I'm not sure I'd want to mingle exclusively just with Christians. Good Lawd amighty forgive me! BUT, we live in a consumer-driven/ marketing-obsessed culture. What a thrilling prospect this ad promises, especially it you’ve tried all human means to find what some call “the perfect mate.” Well, I’m not sure there is such a thing as a marriage, or a relationship, made in heaven, mostly because I don’t think of Godde as a yenta. Don’t misunderstand me, I do think God cares greatly about each and all of us and desires our well being as much as we desire our own. Godde cares enough, however, to give us freedom to use our gifts, both natural and acquired, to live fruitful lives and discern our choices, even if some of them don’t work out just as we’d hoped. None of the above means to me that God has a plan, or a mate created and already picked for me, or you, if only we’d join Christian Mingle and find out—for a fee of course and with a guarantee that our mate will be a Christian, likely of a more conservative stripe than, for example, me. If you believe God has a match for you, then sign up. You may find someone who believes the same, and be compatibly happy ever after. How do we meet and mate? Let me count the ways. Right now I am praying that a dozen women may meet a man who will love them and be loved by them, for better or worse. Why? Well, I pray not because I think God will matchmake, but because these women have told me their longings and I let everything be known to God—all my own fears, hope, longings, anxieties, sorrows, and desires— for myself and people I care about, near and far. Once I let God know what I want, I say AMEN and leave it, for today. I don’t know the outcome, I only know what I’d like, and I’m not afraid to say it. Very often things work out as I desire, but not always. Is that because I was wrong to ask? Not at all. Is it because God didn’t grant my request? No. Prayer for me is more about nurturing and deepening an open and honest relationship with Godde, in whom I live and who lives and breathes in me, than it is about expecting prayer to make things happen. The Lord's Prayer prays: THY will be done, not MY will be done. It’s an act of faith and trust, not control. I pray for the same reasons I talk to my spouse and closest friends or family about my concerns. For me prayer (and its equivalent practices, including Reiki, meditation, et. al.) is what connects me to Godde-in-God, to christ-in-Christ, to God-in-me—and you. Prayer is what lets me in on myself, too. I'm proud and pleased to share with my blog readers my son Rob's poetry. He has recently become a blogger himself. You can find his work on www.robbrakemanpoetry.com. Poetry is one of the creative endeavors that, to me, is very spiritual. Why? Because it has a way of going to the heart and soul of the matter, giving it full dignity as it is, grit and all, while at the same time communicating hope and new life. Matter and Spirit together. Here is a poem Rob wrote some nine years ago when his brother was critically ill and Rob kept vigil in the hospital. His brother would do the same for him. the strange and continual smell of onion soup? is that it? onion soup?